Our blog assignment for this week for the Aspire to Inspire BSG March challenge was: This Sunday is Easter! Write about what this holiday means to you. What Easter memories do you have? What are some Easter traditions in your family? What are your plans this year? When my kids were growing up, on Saturday we always colored eggs and went to the Easter egg hunt put on by the city. Then on Sunday after church the kids and I would ride our bikes towards their grandparents for Easter dinner and a family egg hunt. We never made it all the way to their place before their dad would come by on his way out and pick us up. When my grandson, Jerry, was a child, we would color eggs on Saturday and have an egg hunt and Easter dinner Sunday afternoon. Now that the kids and grandkids are all grown up, we don't do much of anything. This year Bob and i will go to church and help with clean up after the Easter breakfast is over about noon. We don't even have plans for anything special for dinner. We are thinking about going to the movie in the afternoon to see the move "I Can only Imagine". I loved your Easter Memories. Thanks for sharing this. Doesn't it make you happy to remember? As for the movie tell me about it. I love the song "I Can Only Imagine" It is really beautiful. Is the movie based on that song? I know I would love to see it. Happy and Blessed to you and your family. Things certainly change as we grow older. I hope you have a Happy Easter and enjoy the movie. Happy Easter, my friend! Thank you for sharing all your wonderful Easter memories Barb! Wishing you a very happy Easter eggs filled with plenty of love and happiness! Happy Easter!.....I saw the movie, "I can only imagine"....I give it 10 stars! The best movie ever! You will love it! Beautiful Easter memories! Happy Easter! What wonderful activities! Happy Easter. Each phase of our lives bring different things. 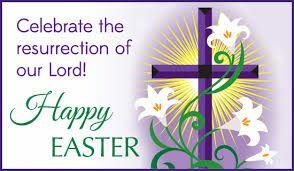 I hope that the memories of past Easters bring you smiles and comfort. I saw the movie, I Can Only Imagine and loved it - I think you will, too! It’s a great movie to see on Easter! Things change as they grow up. Wish they could all stay small a little longer. Have a nice and relaxing evening with Bob, and enjoy the movie. I heard it's a good one. Happy Easter! Thank you for sharing your Easter memories.